At Plumber to the Rescue, we’re committed to quality. This is why we only work with the highest quality brands of plumbing products, hot water heaters, and more. We rely on tried-and-tested equipment, to make sure you’re getting the best possible repair and installation from us. Read on for some of the brands we use. And remember: when you need a quality installation or repair, trust no one else. Call 1800 620 227 or click here to book your job online! An Australian brand of tapware, sinks, bathroom furniture and more, Abey are a creative design studio with a strong focus on quality engineering. For over 56 years Abey has been known for their quality, innovative products. Bringing the latest designs and technologies to Australia is just part of their project. You can trust Abey products, and you can trust us for their maintenance, service, and repair. AquaMAX provide high grade hot water heaters for every day use. Whether with their heaters being designed for specifically Australian conditions or the effective on-demand continuous flow systems the engineers have developed, AquaMAX are another great brand that we install, service, and repair. Gas cooktops and more, Bosch are a trusted name in home appliances. While we don’t work on the appliances themselves, we are experts in connecting your new Bosch appliance to a pre-existing gas or electric system. As licensed gasfitters and gas plumbers, we can be trusted for every Bsoch installation. One of the most reliable designer, manufacturer, importer, and distributer of domestic bathroom products, Caroma is a brand we work with regularly in both installation and service. Toilets? Taps? Basins? Caroma provides and designs all of the above. For a trusted name in bathroom products, we’re happy to recommend our Caroma service and installation. Dorf deliver tapware that looks good, and works better. With thoughtful engineering and reliability, Dorf work in Australian bathrooms to get your plumbing pristine. We work on installing and servicing all kinds of Dorf tapware. Dux is one of Australia’s leading brands of comprehensive hot water solutions. Opened in 1915, Dux have worked tirelessly to develop high-quality, efficient, and environmentally friendly solutions to hot water needs. We service, provide, and work on Dux heaters. It might not sound glamorous, but Fluidmaster are a crucial part of your toilet system. Designers and engineers behind the flush and entry valve systems in many toilets, and in many repair spare parts, Fluidmaster have been trusted for years by plumbers for their product’s reliability and efficiency. We install and repair all kinds of Fluidmaster products. Fowler Ware are another big name in designer bathroom products. Since 1837, Fowler Ware have provided high grade toilet suites, toilets, basins and more. With impressive technical engineering and creative designs, there’s no better team. We install and service Fowler products. Hans Grohe design mixers for real use. Whether for your kitchen or bathroom, you can trust a Hans Grohe tap for its engineering, ingenuity, and quality components. With a large range of German engineered tapware, Hans Grohe is trusted. We work to install and service all kinds of Hans Grohe products and taps. Tapware has many exciting, well designed brands; certainly Irwell is one of them. With no compromise on style or quality, you can trust Irwell for a tap you can rely on. We install and work on Irwell tapware. With over 30 years of experience, we’re a trusted repair and installation expert of all kinds of Irwell products. A New Zealand brand of world-class plumbing products, Methven can be trusted for shower systems, tapware, and more. If you’re looking for well designed, innovative and creative plumbing solutions, Methven is a great brand to consider. We install and maintain Methven products. Rheem are one of the big names in hot water heaters. With heating solutions in gas, electric, solar and pump formats, Rheem are a great option for providing hot water in your home. We’re experienced in working with Rheem heaters – both in installation and repair. An engineer firm behind a wide range of products, Rinnai provide hot water, heating, cooling and other solutions to every day needs. We work with Rinnai hot water heaters and gas heating. These products are quality assured, and are environmentally conscious, often with high ratings for gas and energy efficiency. Established in 1748, Villeroy & Boch are best known for their ceramics – which include bathroom products, but also tableware, kitchenware, and more. 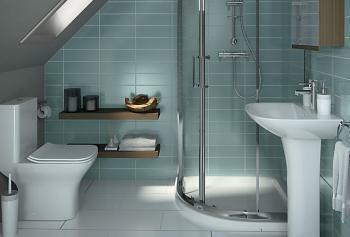 An established name in designer bathroom products, there’s no better choice than Villeroy & Boch for style and substance. We service and install these products. Need new pipework? You might need Vinidex. Trusted in Australia for leading work on pipe systems and solutions, we install and repair Vinidex pipes. Based in Darlinghurst, they’re a local company. We’re proud to work with this Australian business on maintenance, installation, and advice. Named for the Greek god, Vulcan provide tough hot water heaters, with a high performance threshold and great quality. With tough, high grade materials going into the construction of gas hot water heaters, Vulcan is a trustworthy name in heating technology. Need hot water quickly? Try Zip. Creating drinking water taps with a designer edge, Zip technologies allow hot and cold water that is transformed instantly through a complex appliance. Filtered, cooled, heated – Zip does it all. We can install and repair your Zip appliance.